Hummus, in all its eternal deliciousness, suffers from a beige problem. Olive hummus, garlic hummus, eggplant hummus. They all have their own character but smear ‘em on the wall and you’ve got the basic biscuit color of that apartment you rented but weren’t allowed to paint. 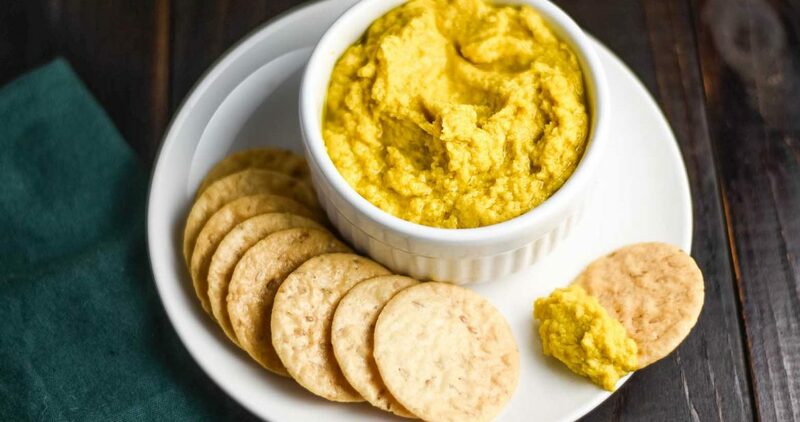 This ginger turmeric hummus makes that same color palette pop with a bright, warm yellow glow. No beets, spinach, or avocado needed to stand apart from the crackers that are bound to dive in it as soon as you put it on the table. 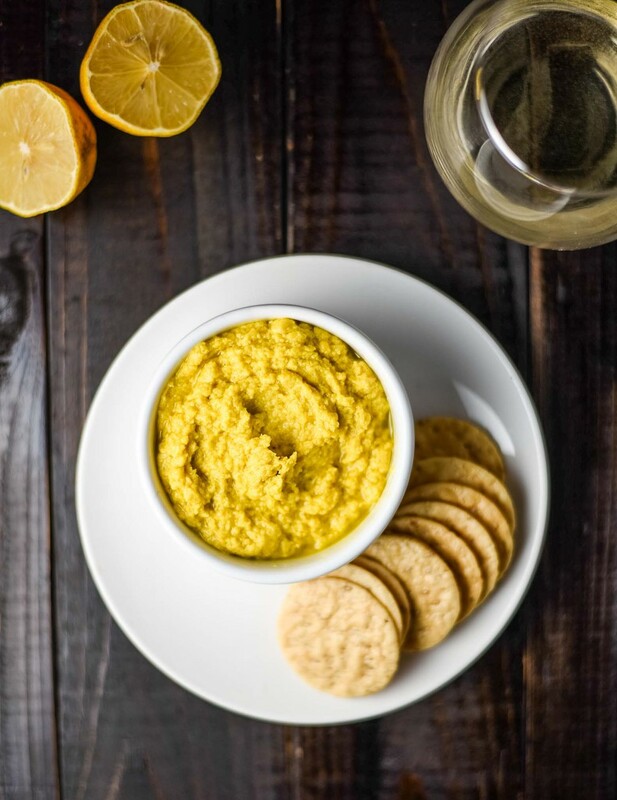 Beyond good looks this vegan ginger turmeric hummus also has anti-inflammatory power, is incredibly easy to make, and has an inviting array of spices for a warm, unique flavor. is turmeric good for you? what about ginger? 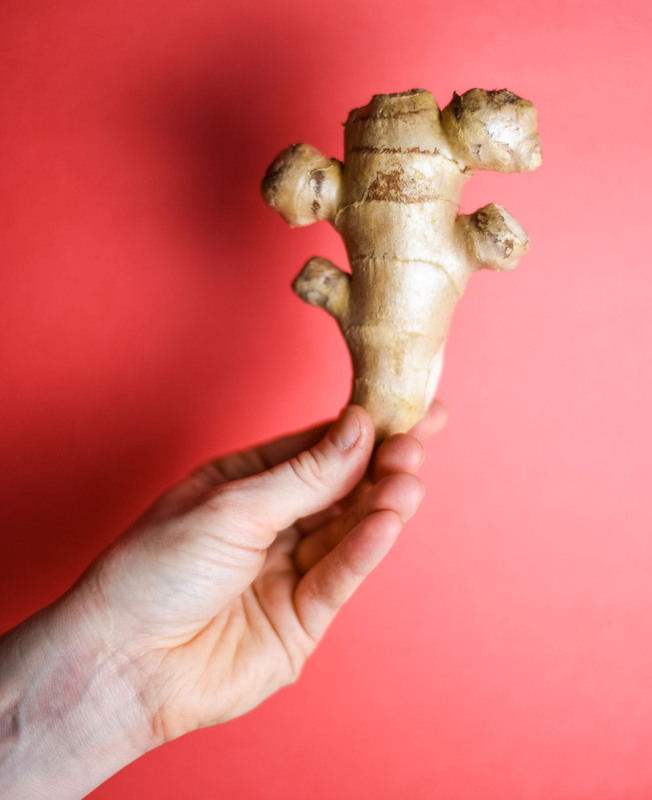 Both turmeric and ginger are nutritional powerhouses. Turmeric is a plant native to South Asia but is cultivated in tropical areas around the world. Most people recognize turmeric by the vibrant yellow orange color and warm flavors it adds to dishes. After I was diagnosed with cancer, I tuned into the health benefits of turmeric in a big way. Turmeric has neuroprotective, anti-inflammatory, and anti-proliferative qualities that may have protective effects against some cancers (Source). It helps your body heal. Ginger is no slouch either. Studies suggest that ginger also has anticancer, anti-inflammatory, and hypoglycemic characteristics with the potential to protect against Alzheimer’s disease (Source). Combine these two nutritional champions and you’ve got yourself one healthy and delicious hummus recipe. how do you make ginger turmeric hummus? This recipe is a bowl of hummus (i.e. the new “a piece of cake”). It’s that easy. Simply drain the chickpeas, and add them to your food processor or Vitamix along with the tahini, ginger, garlic, turmeric, lemon juice, olive oil, salt, and cayenne pepper. Blend until you reach the desired consistency (I prefer smooth and creamy), adding additional olive oil or water to thin the hummus as needed. For dipping try, crackers, chips, pita chips, or fresh veggies such as carrots, celery, bell peppers, broccoli, cauliflower, or tomatoes. You can also try slathering it on toast for a hearty, savory breakfast meal or snack. It’s also delicious with bagels or even quesadillas. Get creative! And finally, grab a glass of wine. This hummus is well suited for adult beverages if the mood strikes. Sémillon: aromatic white grape with flavors of lemon, beeswax, and yellow peach. Sémillon is France’s 3rd most planted white wine variety behind Sauvignon Blanc and Chardonnay. Suggested Regions: Bordeaux, France for a cool climate version or California, USA for a warm climate alternative. Rosé: great go-to wine with spiced dishes. Make sure you’re grabbing a bottle of dry rosé, which will bring notes of strawberries, citrus zest, and rose petals with sufficient crispness to freshen up your mouth between bites. Viognier: another perfumed, aromatic white wine with hints of tangerine, peach, mango, and rose. 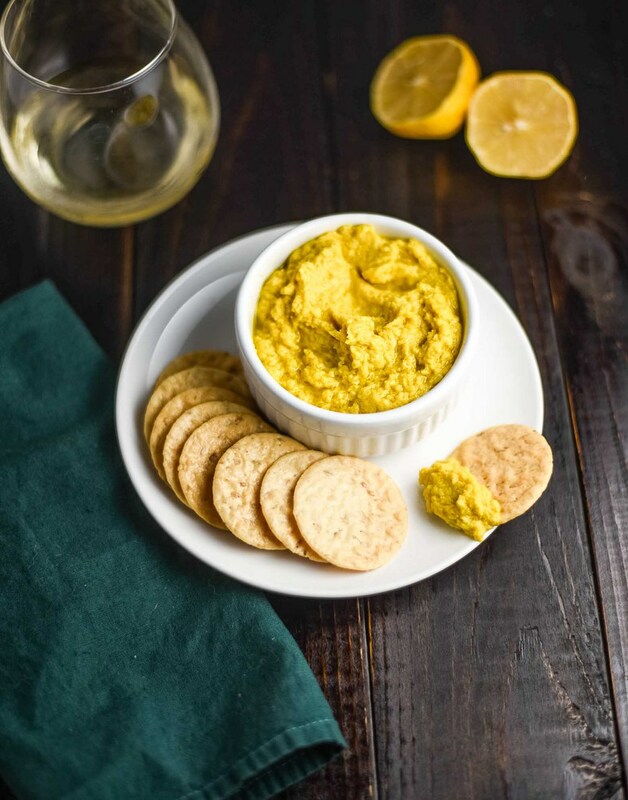 The trick to pairing foods with Viognier is to respect its delicate floral notes and medium acidity, which this understated but bold hummus does well. If you’re interested in learning more about how to pair wine with vegan food, check out my guide on pairing and vegan wines. And should you decant your wine? Got you covered. 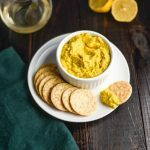 Delicious and easy-to-make ginger turmeric hummus recipe that’s a wonderful addition to any gathering. Add drained chickpeas, lemon juice, tahini, garlic, ginger, ground turmeric, salt, and cayenne to a Vitamix or food processor and blend on high until creamy and smooth. If you want your hummus to be creamy, add additional oil or water. I added about 2 tablespoons of olive oil because I like my hummus creamy and rich. Taste for flavor. If you want more of a spicy bite, add more garlic, ginger, or cayenne pepper, lemon juice for acidity and lightness, or salt for saltiness. I added more ground turmeric, lemon juice, and salt. Serve with pitaStore leftovers in covered container in the refrigerator, up to 4 days. *Recipe is a guide. Adapt as desired. Inspired by Minimalist Baker’s Golden Goddess Hummus.